The chorten, or stupa, is an architectural representation of enlightenment. 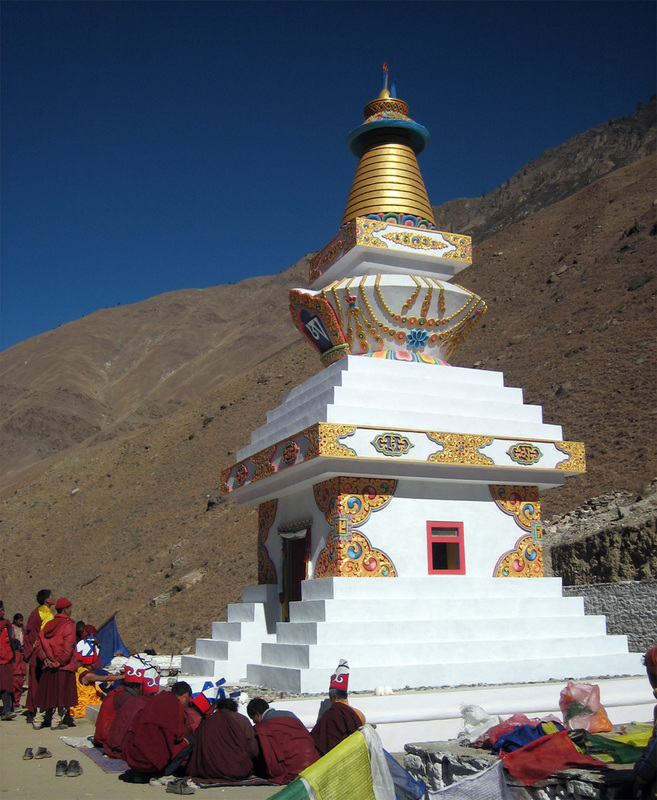 Each characteristic of the chorten has a specific meaning. The inside of the chorten is filled with many sacred and precious objects. Among other things, it is believed that a chorten will bring peace and happiness to the region where it is located. Posted on January 24, 2013, in Prayer and Ritual, Uncategorized, Yungdrung Bon Sacred Symbols and tagged Asian studies, Buddhism, chorten, pilgrimage, spirituality, stupa, tibet, yungdrung bon. Bookmark the permalink. Leave a comment.